Earning a professional certification takes time and dedication. CCNA certification is a highly respected and sought after credential. To help you with the research and decision making process we have compiled a series of the most commonly asked questions about the exam. This information will help you understand what the CCNA is, which topics are covered, cost, how to study, and more. CCNA stands for Cisco Certified Network Associate and is an IT certification developed and sponsored by Cisco. The certification is a professional route to validate and present an individual’s level of skill in a series of network related topics. The CCNA is one of the most highly regarding certifications in the industry. It often times leads to opening up additional job opportunities, promotions or client projects seeking individuals specifically having passed become a CCNA. What are the topics covered in the CCNA Certification? CCNA Cloud – A focus on enter-level skills for provisioning, managing Cisco cloud solutions, and evolve with changing technologies. CCNA Collaboration – For individuals working in the convergence of multiple media type – voice, data, video, and mobile applications. Most applicable for network engineers and those working in the IP telephony and network fields. CCNA Cyber Ops – Detecting and handling cybersecurity events; roles of focus are cybersecurity analysts and security operation center employees. CCNA Data Center – Covers data center design, equipment maintenance, network diagrams of data center design and hardware implementation. CCNA Industrial – Focuses on IT and industrial networks for common and widespread utilities such as electrical, oil and gas, manufacturing, and large-scale plant operations. This certification is centered around understanding standard protocols and learning techniques to build a flexible network. CCNA Routing & Switching – This exam is core CCNA test and the initial area the certification program was built around. Provides a base knowledge for network engineering and is a solid starting point for all areas. CCNA Security – Validates the testers skills around network threats and vulnerabilities, designing and building infrastructure and addressing security issues. Core components of this exam include the confidentiality, integrity and availability of data on the network. CCNA Service Provider – Designed for individuals and companies who deliver network engineering, deployment, or maintenance as a service. Understanding the latest technologies, trends and service offerings is essential. CCNA Wireless – There is an ever-growing demand for wireless networks in every location possible, with a strong signal and high availability. The exam focuses on configuration, monitoring and supporting wireless networks. How to take the CCNA Certification Exam? To take one of the CCNA exams, you first need to visit Cisco’s online certification hub, co-managed with Vue (http://www.vue.com/cisco/). Then determine if the exam is available to take online and/or in-person at a local test center. Once decided you will need to create an account on Cisco’s website to schedule the exam. What is the CCNA Certification Cost? Most CCNA exams will cost $295 (USD). However, visit the following website to confirm specific exam prices, as costs vary based on country, test and whether or not the exam is proctored. Where can I find free CCNA study guides? Questions on Exam-Labs are 100% real, as made up questions do not fully prepare you for the exam. Each question you see at the link above is from a real and recent version of the CCNA test. Determine which CCNA exam is best for you. The Routing & Switching exam is the foundation of the overall CCNA structure, so if you aren’t sure that is your best place to start. Otherwise, if you specialize in one particular area in your current role or the role you want then select that specialty. Once you’ve selected the exam, you will need to visit Cisco registration page to determine if your exam is available online or must be taken in person. (http://www.vue.com/cisco/) Select the test method, date and time that works best for you. Begin your preparation by going through Exam-Labs’ library of real practice questions – https://www.exam-labs.com/dumps/200-125. Once you know which exam you are taking and when, you need to setup a structure to help yourself succeed. The fundamentals of preparing for any certification exam is dedicating time to study and getting comfortable with the style of questioning. If you can block out at least 30 minutes every day to go through the CCNA practice test questions. Books alone will only provide you with theory and structured detail. If you can’t manage to study every day, consider blocking off larger time frames during the weekend. The idea is to have a steady pattern of going through the questions. As stated before the questions in Exam-Labs practice materials are 100% real and besides giving you real questions to work with they also help you get use to the style of questioning. Every exam has new questions, but once you get comfortable with the question wording and answer choices the entire process will seem much easier. 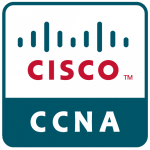 How hard is the CCNA Certification Exam? The CCNA exam is relatively difficult to prepare for and pass, consider the depth of knowledge it covers. However, that makes sense given how highly regarded it is across many industries. Companies all across the world are searching for individuals how have CCNA training and certification. Quick searches for CCNA jobs and CCNA salary will reveal how in demand this skill set is. Good luck in your journey towards becoming CCNA certified! If you are ready to test your knowledge head over to the practice question area now – https://www.exam-labs.com/dumps/200-125.